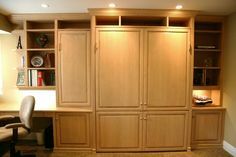 Chicagoland Home Products pops up all over the Chicago area just looking for an awkward niche to transform into a place of custom storage, accessibility and function. Most homes have an area that is hard to get to, poorly designed or with no purpose. 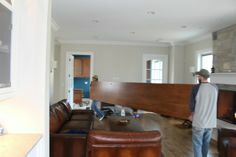 The design people and craftsmen at CHP are ready to look at your biggest and smallest problem places and help you fulfill your plans to bring grace to the awkward. Even if you don’t have a plan for transformation, Chicagoland Home Products will help you develop one. 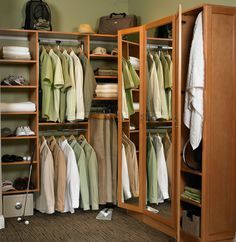 Example #1 adds some usable storage space to a room that came up short when it needed a closet. 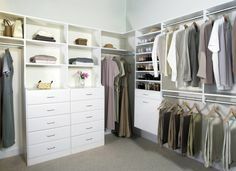 Using white with flat fronts and polished chrome square pulls, this unit has base molding and in-cabinet lighting. Where there was once awkward emptiness there are now drawers, shelves and a space for hanging storage. Example #2 takes advantage of an unused wall. 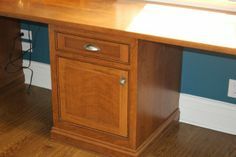 This unit is highlighted with the Carnaval color and Aspen fronts. 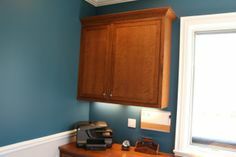 A lighting valance enriches the area and makes it look great and brings alive a space that will be used for general storage and to display whatever you would like to show off. 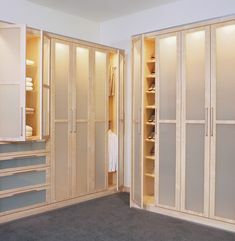 These are just two examples of the many ways Chicagoland Home Products can take wasted space and provide storage solutions, beauty and usefulness. Remember that CHP has a practical purpose and a storage solution for all those places in your home, office or garage that need to become so much more that they are. 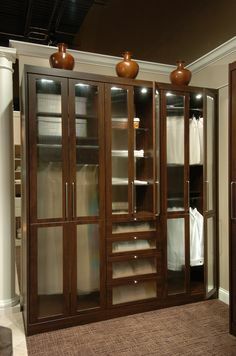 Contact Chicagoland Home Products now - email, call 877-389-5500 or chat us to help you grow your storage spaces.